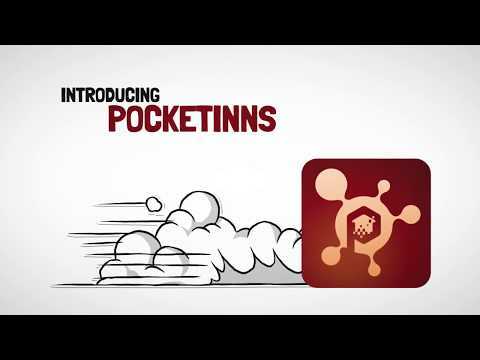 The Pocketinns Umbrella Project, is a disruptive decentralized online digital nation where a marketplace ecosystem is created for both buyers and consumers around a decentralized blockchain model, The token auction will continue the growth of the Project’s first live marketplace on the blockchain, Pocketinns 1.0, a decentralized marketplace for home and vacation rentals with an inventory of over 50,000 properties in Europe and a community of 1900+ users launched on October 20th 2017. In simpler terms think of Pocketinns as a company operating on the lines of Costco or Netflix where in this case it’s a true community driven peer to peer digital economy with multiple marketplaces that include Travel, Accommodations, ridesharing, car rentals, real estate, ecommerce and thousands of other marketplaces operating under one single ecosystem. These transactions under the Pocketinns ecosystem are supported between the buyers and sellers with its own supporting internal financial network a nd its own internal Pinns currency that powers this ecosystem. This ecosystem will be driven, controlled & majorly managed by its own community as the ecosystem grows. This is made possible with the entire ecosystem operating and transacting with its own currency known as the Pinns tokens. Pocketinns makes this possible by leveraging the power of blockchain technology. Team ready, idea OK, really detail and comprehensive white paper, product ready to improve. risk low, I give this a high score. With recommend to optimize the vision since there are more competitors will come in. Thank you Jason for taking the time to review us. Appreciate the feedback. There is competition in disrupting travel and hospitality industries with use of blockchain. First of all Adnan thank you very much for displaying an amazing neutral attitude and actually taking time on understand the project with us and my apologies for responding late as we just got access to reply from ICOBench yesterday. In addition I just wanted to further clarify that we are not a company tagged as a travel and hospitality vertical. The travel and hospitality vertical we built is just the first iteration of thousands of marketplaces yet to be made available on the ecosystem. We like to call ourselves as an Operating system for an alternative nation where thousands of marketplaces operate under a single ecosystem with this ecosystem having its own internal financial network with remittances, payment processors, escrows, short term banking network etc. all of this being transacted with the Pinns currency as the lifeblood of this economy. The problem is we are still aligned by looking at the old school way of doing business and at Pocketinns we have developed the product keeping in mind the next 10 years of how the world will evolve technologically and if you actually research our project further most of the ICO’s will be feature products on our ecosystem just like facebook has its messenger, newsfeed, Instagram etc. I hope this clarifies your doubts further and I again thank you for your time. Team has ceased activity on Twitter in January. Telegram channel is closed, the link cannot be found. Also, there is nothing new on their website. Still, it says the countdown is over. No differentiator, a marketplace for everything. Every market has special needs. It is not truly decentralised when an escrow is involved. Marketing Roadmap is not outlined in detail. Problem and Solution from the Whitepaper are not clear to me. Really fascinating idea and vision for such a collection of markets. Team look reliable and we can see real efforts are put in the Whitepapers. In general there are good competitors and specifically in some sectors we see tough rivals. Hard mission to be accomplished by this project! Will check it again, once the ITO is done! It is a very global project with a nice and detailed White paper. It is well known, that the success of the ICO project depend on the involvement of community. As the others experts mentioned, now the project looks like as the touristic project with a grate number of competitors. Of course, you whrite about "marketplace ecosystem", but it is a lot of general words which occur in each project. I would also recommend to describe project benefits in relation to other specific projects, but not to the "all of competitors". More and more projects in travel and hospitality industry are showing up. The idea of a marketplace for these services is not new. However, the implementation of blockchain technology in Pocketinns umbrella project has quite an interesting approach, as well as the monetization model of the PINNS token. I’m not sure that they have chosen the right platform (currently, it’s quite expensive for transactions). Toomas thank you for taking the time to review us. I would like to clarify a couple of points that we are not a travel and hospitality vertical. The travel and hospitality vertical we built is just the first iteration of thousands of marketplaces to be made available on the ecosystem. As nerds we like to call ourselves as an Operating system for an alternative nation where thousands of marketplaces operate under a single ecosystem having its own internal financial network with remittances, payment processors, escrows, short term finance and banking network etc. all of this being transacted with the Pinns currency which functions as the lifeblood of this economy and not as a gimmick token. "I’m not sure that they have chosen the right platform (currently, it’s quite expensive for transactions)." You are right but due to capital constraints we are currently using ethereum as our flag off platform and we have mentioned this is our whitepaper that we will be forking and developing our own blockchain in the future to support our ambitions as this is not our ideal platform and this ICO has been done to pursue those milestones. Thank you for taking the time to rate us. Could you please provide some comments so we may understand better on why the rating was given as 3/3/3 so we too have a good idea on your understanding and can probably provide you valid clarifications if we see a gap. Appreciate in advance for the time you provided us. Idea have a future, but needs proper execution as well. Rental space can see very good use of this idea as the deposit and escrows fund management. Initial implementation does not promise project success as it does not use Blockchain extensively. Removing few, most of Applications does not differentiate much from centralised ecosystems. Harsh this is the Pocketinns communication team, Our CEO's response post was deleted for some reason to your questions and so we are reposting to ensure we have posted a proper open response and analysis to your questions and to ensure integrity of open communication and rating is maintained between both sides. Thank you again for rating us. Lot of competition - Current competitors are still vertical old school aggregation services and we are looking at disrupting that entire peer to peer space. Initial implementation does not promise project success as it does not use Blockchain extensively - Yes this project is heavily dependent on the decentralization aspect and the Pinns currency to execute trades which is the lifeline of this project so to execute this project is why we decided to have an ICO as without the blockchain in its entirety we would be a dummy application. I think we would have to disagree as this scenario I believe will exist only for a company for eg trying to be an airbnb or uber like vertical service and token utility is next to nothing but in our case by building multiple marketplaces we are decentralizing every aspect of the ecosystem as it is community driven and users will have control over their own value, savings, data and privacy (Please note the same recommendations, reviews, upvoting system will persists, from a quality standpoint nothing changes for the customer it just that the user will have more personal control over these tools through an AI system we are developing which means its business as usual for the customer and buyer). We intend to be the gatekeepers of this ecosystem and have no intentions of being the puppet masters :). Decentralization is power for the people. Very detailed and comprehensive whitepaper, good team.